People knew there was a link between dirt and disease, but could not explain the link. 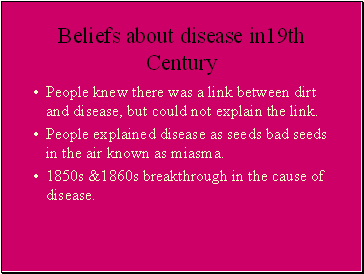 People explained disease as seeds bad seeds in the air known as miasma. 1850s &1860s breakthrough in the cause of disease. 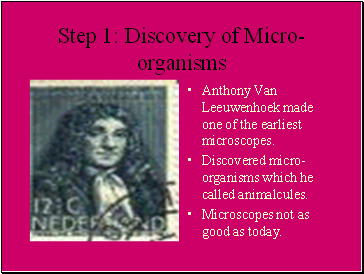 Anthony Van Leeuwenhoek made one of the earliest microscopes. Discovered micro-organisms which he called animalcules. Microscopes not as good as today. 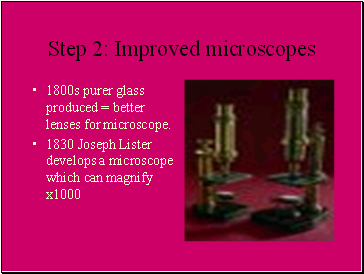 1800s purer glass produced = better lenses for microscope. micro-organisms are the result of decaying matter. 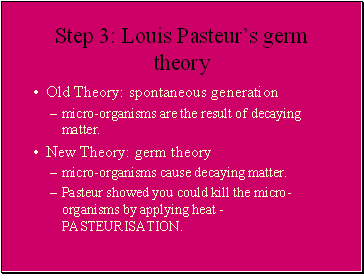 Pasteur showed you could kill the micro-organisms by applying heat - PASTEURISATION. 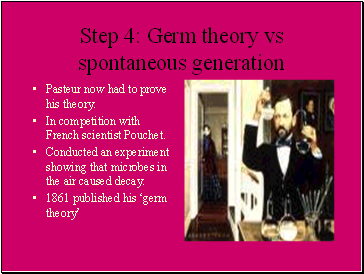 Pasteur now had to prove his theory. In competition with French scientist Pouchet. Conducted an experiment showing that microbes in the air caused decay. 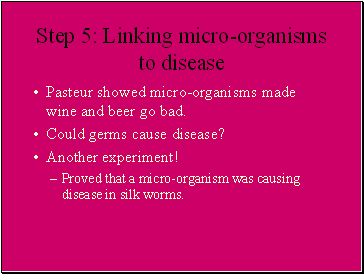 Pasteur showed micro-organisms made wine and beer go bad. Proved that a micro-organism was causing disease in silk worms. 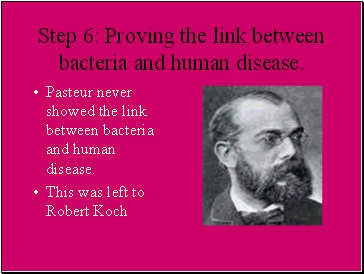 Step 6: Proving the link between bacteria and human disease. 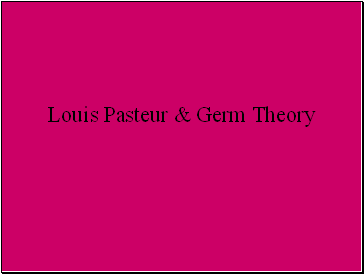 Pasteur never showed the link between bacteria and human disease. 6 steps to discovering the causes of disease. Use the slides to help you. 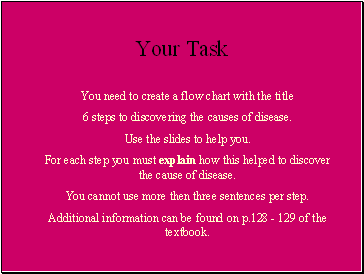 For each step you must explain how this helped to discover the cause of disease. You cannot use more then three sentences per step. Additional information can be found on p.128 - 129 of the textbook.